The obvious answer is no. The main purpose of a Gurduara is to teach Guru Nanak’s philosophy and spiritual wisdom to all humankind regardless of religion, caste, creed, color, gender, and age. But, I regret to say that the majority of the Gurduaras do not follow these basic objectives. It is common knowledge, that, large numbers of Sikh children are not following Sikh values in Punjab and elsewhere. Addictions to alcohol and substance abuse are common in the Sikh community, especially prevalent in youth. I do not want to expand more on this issue as we all are aware of the problems Sikh youth and Sikh community are going through. The objective of this article is to explore, what role our Gurduaras have played or are playing to help Sikh youth to escape from this nasty epidemic. I always discuss Guru Nanak’s philosophy and Sikh virtues with my grandchildren and stress that Sikhism is based on logic, facts, purpose, truth, relevance, knowledge, practicality and a scientific way of life. In other words, there is no place for idol worship, rituals, miracles, and superstitions in Sikhi. In Sikhism, any religious tradition, practice or a sakhi (story) which does not pass the test of logic, is considered a ritual or fake story. A couple months ago, my 11-year-old grandson informed me that he does not learn or understand anything whenever he visited the Gurduara and said, “it is a waste of time for me to go to Gurduara.” I was not surprised to hear it. However, it motivated me to write this article. 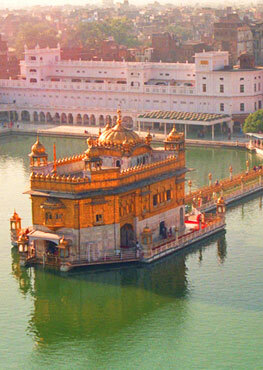 Sikhs spend hundreds of millions of dollars on Gurduara infrastructure and their maintenance. These religious institutions (Gurduaras) are $billions industry worldwide, with no accountability or transparency to the stakeholders. During the Guru period, the Dharamsals were providing community services such as health-care, sports activities, domestic/ family guidance or advice, livelihood, co-creation and collaboration. However, if we look at the present system of these magnificent structures (Gurduaras) instead of providing community services, they are acting as worshiping, ritual, or social centers. The Gurduaras are funded by Sikh community, so its prime objective should be to work toward community improvement or for its betterment. There are a very small numbers of Gurduaras which are proactive in community affairs and are trying to improve the Sikh community’s image, but the large numbers or I would say the majority are interested only in financial gain. The present Gurduara system is a complete failure in providing Gurmat philosophy, spiritual wisdom and other essential aspects of life to become good human beings. When we look at the output of this system, the results are obvious. More than 95% of Sikh people are now practicing belief system, rituals, believe in miracles and superstitions, which are completely opposite to Guru Nanak’s philosophy. The Sikh children or youth born in English speaking countries, do not understand whatever said in the Gurduaras. This is one of the main reason; they do not like to go to the Gurduara as they get bored sitting there. Other reason, the youth do not feel part of the Gurduara system, as they are not involved or asked for their input into the system. 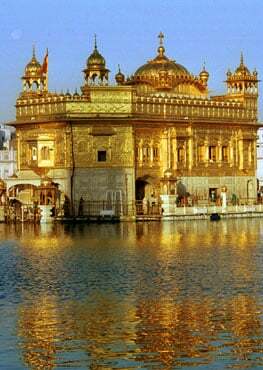 Let us review all the functions in the Gurduaras and make necessary changes, so, a Gurduara would become a “Sikh Place of Learning” from worshiping, ritual or a gossip center. The main functions at most Gurduaras are Akhand Paths, Kirtan, Dhadi vars, Mythical sakhies, Reading poems, very long Ardas and Langar. I am afraid to say, that, apart from food, none of the other functions are relevant to Sikh children born abroad, as they do not understand due to the language barrier. The majority of the people who attend Gurduaras regularly are senior members of the Sikh community. Whose main purpose of going, is, to socialize, entertain and enjoy good tasty (unhealthy) food. One wonders, why have a function or a program if the majority of the members are not taking any benefit from it? In a normal setting, this type of function or a program would be replaced with a more desirable function of need. The new or improved version of the program should be suited to Sikh youth and other adult members of the community. It is achievable with minor modification and no extra cost to the Gurduaras. The Gurduaras should plan to have concurrent sessions on different topics every Sunday. Topics such as SGGS’s philosophy, Sikh community issues, Gurbani Vichaar, Sikh history, Anger management, Professional career presentations, Mental health issues, Domestic or Family violence, Counseling, Drug addiction or Awareness, Alcohol abuse, Gang wars, Spousal abuse, Communication skills with proper etiquette, Volunteer services (Seva) etc. These sessions shouldn’t be longer than 45 minutes, with 5-10 minutes for questions and answers at the end of the session. The planning committee would decide and plan the topics for the members. They have to post the program one to two weeks ahead so members would know what to attend. Designate one medium size hall or a big room for this purpose. The audio-visual equipment should be available if required by the presenter. The planning committee has to promote the idea with parents and youth during the planning stages and before it’s ready to implement. The committee members and parents should encourage the youth to attend these sessions. This program should be tried at least for six months to see it’s effectiveness. The committee should perform reviews at set intervals and make modifications as required. Eventually, this should become part of the routine in the Gurduaras. This program must be intended to Sikh youth with or without their parents and to any other member from the congregation who wish to join for the presentation. The presentations must be made in English if Gurduaras are in English speaking countries. At the end of the session, members should be free to mingle, go to Guru Darbar or have a fellowship meal. Sport or exercise makes the person health conscious. Sikh youth taking part in a given sport as a group will promote Sikh culture/tradition and would create awareness against drug/alcohol addiction. The regular exercise or taking part in sports would also get rid of obesity a common concern in all youth. The sports coordinator can arrange large numbers of activities such as Sikh martial arts, gymnastics, basketball, soccer, badminton, kabaddi and arm twisting, etc. The Gurduaras should encourage Sikh youth to take part in sport and sponsor the teams. They should also sponsor talented individual players. The Sikh community has a large pool of retired professionals such as Physicians, Engineers, Bankers, Accountants, Social Workers, Teachers, Sikh Scholars, Lawyers, Counselors, Scientists, Managers, University Professors, and Army Officers, etc. They would be willing to share their knowledge or provide voluntary services for the betterment and to improve the image of the Sikh community especially the youth. The present system in Gurduaras failed miserably to motivate Sikh youth towards Sikhi, so, it is time for Gurduaras to explore these resources to inspire Sikh youth. This type of planning and having concurrent sessions every Sunday would provide choice to sangat what to listen or hear. The above listed changes to the Gurduara’s routine, would have no economic impact on the Gurduara. Actually, it would be win-win situation for Gurduaras and for Sikh youth. Please be aware, that, I have just outlined some ideas and examples, no way, they are complete lists. There are large numbers of other topics available for presentations, different sports activities and retired experts in the Sikh community. Our Gurduaras, not all, but the majority have neglected the youth for a long time, I hope the above-mentioned ideas of concurrent sessions and sports activities in cooperation with Gurduaras would help to inspire Sikh youth towards Sikhi. As we all know, it would be the investment for the future of Sikhism. Acknowledgments: My special thanks to Dr. Gautam Srivastava for editing this article.